For routine vehicle maintenance, or for when that alarming Service Engine light comes on, you don’t need to go to a car dealer. Buchanan’s Service Centers have access to tech manuals and specs for all models of cars, vans and trucks to do accurate engine repair. Rely on Buchanan’s Service to fix it right and on-time to save your time and money. 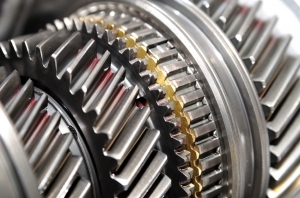 The transmission is one of the most complex and intricate components of a car that few mechanics dare to venture. But Buchanan’s Service mechanics understand and will go in to repair transmission, differential or transfer case. Buchanan’s Service can do everything from quick A/C recharges to complete system overhauls, including compresser, evaporator & heater core replacements. Buchanan’s Service repairs tires while you wait. We understand how these inconveniences can happen on your busiest day so help you get fixed up and back on the road as soon as possible. 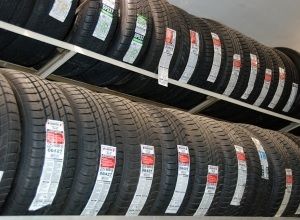 Buchanan’s Service also has access to all brands of tires. We can match your brand and tire, upgrade your tire or fit you with a tire for your budget. 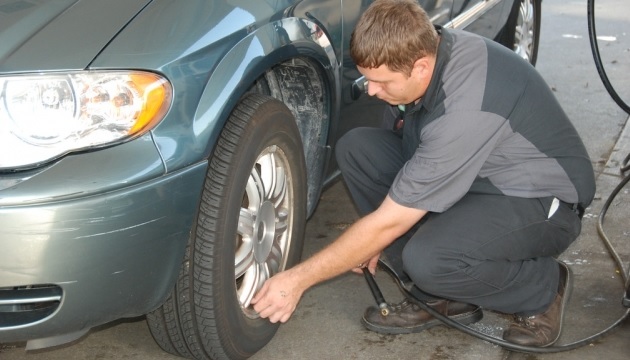 Our tire replacement includes balancing, mounting and proper tire rotation if necessary. Come to either Buchanan’s Service Center for tire repair Monday – Friday 7:00am – 11:00pm or Saturday – Sunday 8:00am – 5:00pm. Tire replacement is also available during these hours, though evenings and weekends are limited to tires that we have in stock. Your family’s safety depends greatly on the performance of the brakes and shocks on your vehicle. 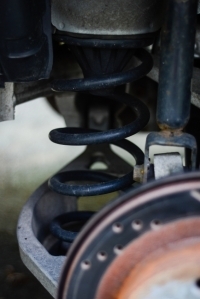 As shocks and struts wear out, they lose their ability to cushion wheel and body movement which makes it more difficult to control your vehicle. Stopping distances become longer and you risk nose-diving coming to a sudden stop as well as experiencing a car rollover. Plus, worn shocks and struts add more impact and jolts to your vehicle’s suspension system, along with every part attached to it. As result, other components on your car subjected to these harsh movements can fatigue and break faster. Replacing worn shocks and struts at Buchanan’s Service makes for safer driving and less wear over all on your vehicle. As an added benefit, new shocks and struts bring that new ride feel back to an older car and truck. While driving if you feel a vibration in your steering wheel, or your car or truck pulling to one side, it’s likely that you have a bad wheel alignment. Pot holes, continuous stop-go-turning city driving as well as eventual worn front-end suspension parts all affect your vehicle’s original manufacturer calibration and ability to maneuver at its best. Come to Buchanan’s Service to examine and solve the problem with a precise vehicle alignment. Having good tires put on your vehicles these days is a serious expenditure. If you don’t get a proper tire balance or a front end alignment you risk those tires wearing improperly then wearing out too soon. Unfortunately it’s an irreversible mistake you won’t recognize till around 5,000 miles later. 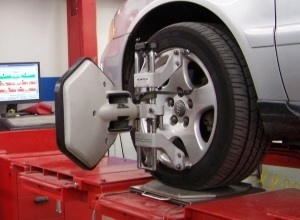 Having your new tires balanced and getting an alignment protects that tire investment. 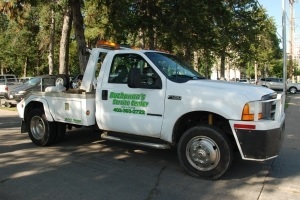 Our Buchanan’s Service fleet is on the go day & night making car calls! That means we come right to your vehicle. If your car has left you stranded, there’s nothing better than seeing a Buchanan’s truck arrive with an experienced mechanic and the right equipment for the job. 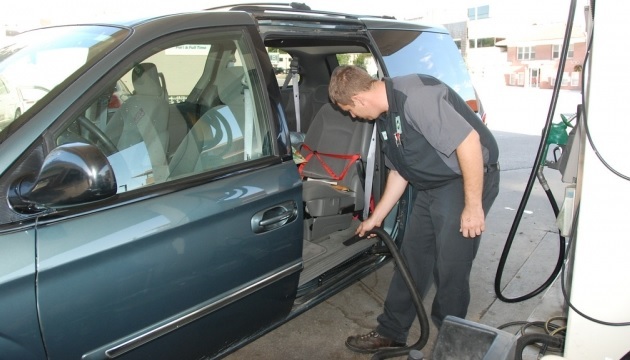 Buchanan’s Service comes prepared to help in a variety of ways to get you back on the road. Here are the services we provide you from morning through night. If your car is broke down within the Omaha/Council Bluffs metro area, Buchanan’s Service is just a phone call away. Few things can ruin your day more than the stress of a broke down vehicle that’s going nowhere. Call Buchanan’s Service to save the day! If you’re stranded because of a battery fail, Buchanan’s Service can come to the rescue. If you have a tire just flat out of air, call Buchanan Energy for on-location pit stop service. Today’s engines are built to run longer…100,000, 150,000 even up to 200,000 miles! But only if you as the owner take care of that engine, making the time for regular engine maintenance–and not waiting for warning lights come on and your engine left gasping for life. Buchanan’s mechanics are continuously trained to better know today’s engines. They’re working on these engines everyday so have the invaluable experience of what looks, sounds and feels right or wrong. Our mechanics have all the background and knowledge so you don’t have to worry or even be aware of all the components that need to be routinely checked. Fortunately all you need to do is keep track of your odometer for key mileage increments. Every 15,000 miles bring your car, truck, van or SUV to Buchanan’s Service Centers. Our mechanics will make a comprehensive check over key engine components for their performance, cleaning, repair or replacement. They know at what mileage increment the particular parts of your model vehicle that need to be checked. No other part of your vehicle is subjected to more bumps, jars, screeches and burn-outs than your tires. With all that consistent use and abuse, Buchanan’s Service Centers recommends assessing your tires at least once a month for wear and tear. You don’t have to rely on a pro to make that call because with these visual and performance cues, you can check your own tire’s health and decide if it has more life or needs replacement. Every tire has a built-in system for determining tread life. Manufactured within the tire’s groove are ridges, or wear bars, spaced inches apart all around the tire. On a new tire the wear bars are deep within the grooves, well below the tire surface. Over the thousands of miles of driving—even locally—the tire tread wears down and decreases. You’ll notice the tire grooves are diminishing. If your tire’s surface is ever close or even with those wear bars it means that your tire has worn down to only 2/32 of tread. That’s a sure indicator the balding tire is less effective on the road, especially wet pavement, with not enough tread and traction to effectively maneuver and suddenly stop the car in the shortest amount of space. Your safety is at risk and it’s time to replace that tire. Another common, easy way to check your tread is using a penny. Turn the penny so that Lincoln’s head faces down and place it in the tire’s groove. When your tire has high tread you shouldn’t be able to see penny’s edge or even most of Lincoln’s head. But If you can see the top of Lincoln’s head, your tire’s tread is too shallow and the old tire should be replaced. Just as important as the tread are the sides or walls of your vehicle’s tires. Cracks on the sides of tires are signs of stress and fatigue on the tire wall. A weakening wall can preclude a tire blowout hitting the right pot hole or other severe bump. It’s best to check the walls on both sides of the tire. So you not only have to get to the level of the tire to assess the outer walls, but also grab a flashlight, get on your back and scoot just enough under the vehicle to inspect the inner tire walls as well. Proper inflation is essential to your tire’s life. Information on the manufacturer’s proper tire inflation can be found on the driver door or door jam and in the owner’s manual. If your tires are typically under-inflated or over-inflated the tire will not wear properly and likely have a much shorter life. 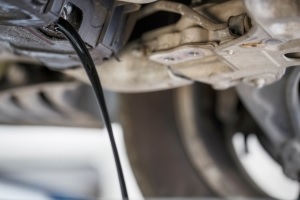 If your tire regularly looses air, the slow leak may be fixed with a plug or caused by small cracks in the tire. Unfortunately, tire cracks can not be repaired and the tire will need to be replaced. A rough ride can also indicate tire damage or excessive wear. If you notice any vibrations or other disturbances while driving, reduce speed and have your tires inspected as soon as possible. Those vibrations may be a warning that the tire is about to blowout. Learning how to assess your tires’ health can help you avoid a tire blowout, and even an accident. It can can also save from being misled into unnecessary tire changes. When you do have questions and concerns, trust us at Buchanan’s Service Center in Omaha for honest evaluation, professional repair or proper tire replacement. One of the most essential services you can do to lengthen the life of your vehicle’s engine is getting routine oil changes. Oil is the life blood of the engine to lubricate and cool critical moving parts. That’s why Buchanan’s Service Centers install only the best oil filters and re-fill with the highest-rated recommended oil for your particular engine. If we any find thing wrong, before writing up an estimate, we’ll explain it to you first and give a realistic time frame of when you should have it fixed. Buchanan’s Service doesn’t purposely look for problems to make more money from you. Our approach is to be honest. We want to keep you informed and happy with your car as well as trusting Buchanan’s Service Centers. Come to either Buchanan’s Service Center for an oil change Monday – Friday 7:00am – 11:00pm or Saturday – Sunday 8:00am – 5:00pm. Today’s new engines are more sophisticated that ever. When working properly they deliver a level of performance that we never before experienced. But it also means today’s engines have more things to go wrong. Monitoring all the sophisticated aspects of modern engines is your vehicle’s ECM, the Engine Control Module, often referred to as your car’s on-board computer. When something goes wrong in your car’s engine the ECM picks up on the problem and activates the Service Engine light–keeping it on till the problem is fixed. Since most of us have no idea what’s actually wrong with our engine, that Service Engine light can easily put a scare into any driver. If your Service Engine light comes on, bring your vehicle to Buchanan’s Service Centers at your earliest convenience. Your engine’s computer knows what’s wrong and will tell us by code with the right equipment. Buchanan’s has an ECM code reader that plugs into your car. We can cross reference the code number to any vehicle manufacturer and model. When the code is revealed, Buchanan’s Service can quickly identify and solve your engine’s problem. 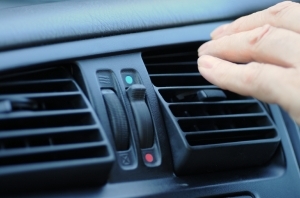 Your ECM is continuously gathering information from sensors placed throughout your vehicle’s engine. Sometimes when a problem is detected the cause may actually be a faulty sensor. Buchanan’s Service will test the sensor to see if it is faulty, then either clean or replace that sensor. Service Engine Light Blinking Means “Immediately”! If your Service Engine light begins blinking then the engine problem is quite serious. The blinking light is often accompanied with a rough running engine, particularly in idle. 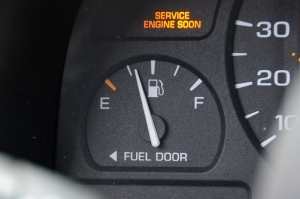 A blinking Service Engine light means you need to immediately get your car in for service. Likely the blinking light indicates that your catalytic converter is failing. Running the car much longer can cause further damage to the converter. 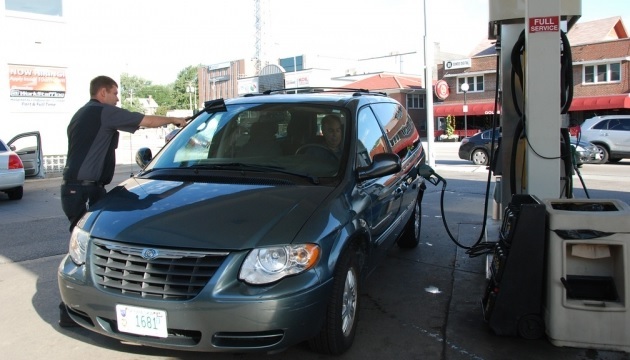 If close by, get your car into either Buchanan’s Service location. Best advice is to pull in the nearest parking lot, shut off your vehicle and call Buchanan’s for a tow. The cost of the tow (which may be covered anyway by your auto insurance) is far, far less compared to the costly repair of the ailing engine running much longer. Mr Mechanic is Omaha’s longest running local radio show, airing on News Radio 1110 KFAB-AM. It’s one hour all about cars, car care and car repair, hosted by Steve Buchanan, owner of Buchanan’s Service Centers. Listeners can call in with their questions on anything about their cars. Rarely is Mr Mechanic stumped but the interactions are always entertaining. Co-hosts, guest-hosts and contributors on the Mr Mechanic show include Bob Fenster and Karl Larson, each a manager of the two Buchanan’s Service Centers as well as car expert Dr. Mark Grabow. In 1988 KFAB approached Steve, then mechanic and owner of Buchanan’s at 50th & Dodge, about hosting this new talk show about cars. 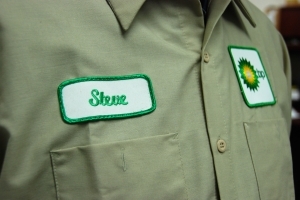 Steve agreed to do the hour long Saturday morning program and has remained host for over 25 years. “It’s about extreme temperatures”, says Bob Fenster, manager at Buchanan’s Service at 80th & West Dodge. That’s when parts fail and cars break down”. 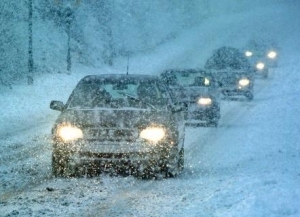 Winterizing your car means making sure it’s ready to perform its best for driving in snow and starting in below zero weather. Because if your car fails in the worse of winter, that’s when lots of other folks are also trying to their vehicles in the shop to be fixed. Come to either Buchanan’s Service Center for an oil change and we’ll do a complete performance and reliability check-up on your vehicle, particularly with those critical components needing to operating at their best for winter. 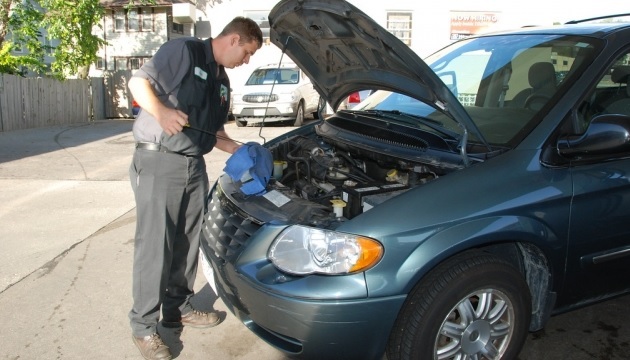 Buchanan’s does oil changes and vehicle check-ups Monday – Friday 7:00am – 11:00pm or Saturday – Sunday 8:00am – 5:00pm.